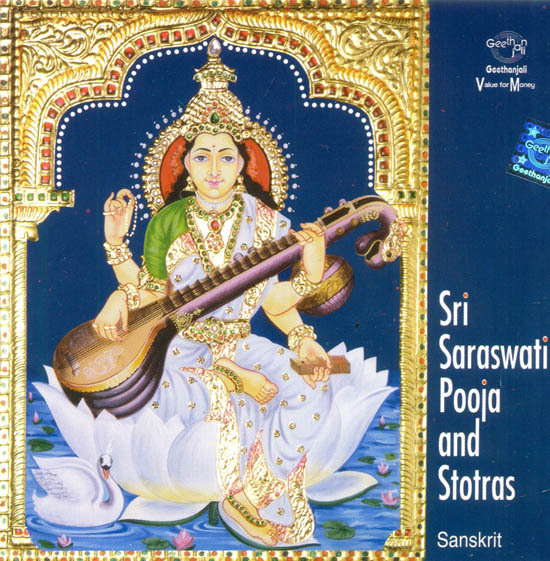 Saraswathi is considered the goddess of learning and speech (Vak). She is worshipped specially on the Saraswathi Pooja day all over the country and the educational institutions celebrate Her for better knowledge, learning and spiritual progress. She represents the union of power and intelligence. She is the personification of all knowledge arts, sciences, crafts and all skills. She reveled language and writing to man. She endows human beings with the powers of speech, wisdom, fortune, intelligence, nourishment, brilliance, contentment, splendor and devotion. Her four hands represent the four aspects of human personality in learning: mind, intellect, alertness and ego. 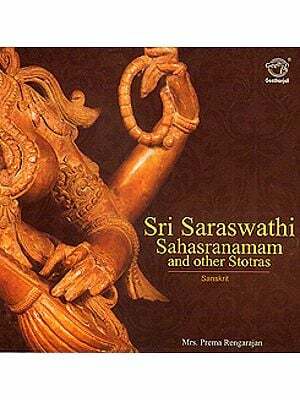 She has sacred scriptures in one hand and a lotus or rosary the symbol of true knowledge in the second. With her other two hands she plays the music of love and life on the Veena She is dressed in white the symbol of purity and rides on a white swan symbolizing Sattwa Guna or purity and discrimination. 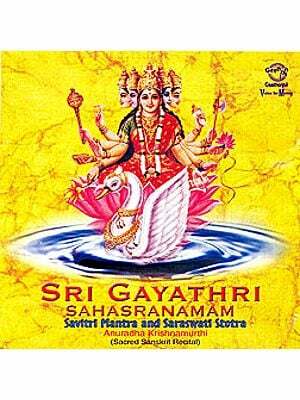 Devotees who intend on performing Saraswathi Pooja in the traditional way, can play this compact Disc which will guide them like a priest. This programme beings with Ssri Saraswathi Gayathri, Sri Vigneshwara Pooja, Sri Saraswathi Pooja, Sri Saraswathi Navarathnamala, Sri Saraswathi Stothram (Rudyamalam), Sri Saraswathi Stothram (Agasthiyar), Sri Saraswathi Dvadrimachnnama stotram, Sri Saraswathi Ashtakam, Sri Saraswathi Dasasloki, Sri Saraswathi Stuthi (Yagnavalkyar) Sri Saraswathi Mangalam. Are also recited in a spiritual tune by Dr. R. Thiagarajan, HOD of Post graduate and Research Department of Sanskrit, Presidency College, Chennai along with his team P.S. RAghuraman, Malolakannan, and Bhakthavatchalam, guided by the famous Music Director and playback singer Mr. Manikkavinayagam.